In two independent studies, the team reproduced the results of literature searches for sets of published meta-analysis. For each one, they extracted co-citations for known articles using the Web of Science database. Cecile Janssens, PhD, research professor in the Department of Epidemiology at Emory's Rollins School of Public Health, proposes a fundamentally new search method for scientific literature in a recent study published in the October 2015 issue of BMC Medical Research Methodology. The plan proposes ranking articles on their degree of co-citation, a count of how frequently articles are cited together with one or more "known" articles before reviewing their eligibility. Currently, finding eligible studies for meta-analysis — a technique that combines findings from independent studies — and systematic reviews relies on keyword-based searching. "Literature searching is largely juggling with combinations of keywords and screening through lots of articles in order to find relevant papers," explains Janssens. "Our method starts with one or more papers that the researchers already know and efficiently finds what else has been published on the exact same niche topic, by applying a novel way to process citations." In two independent studies, the team reproduced the results of literature searches for sets of published meta-analysis. 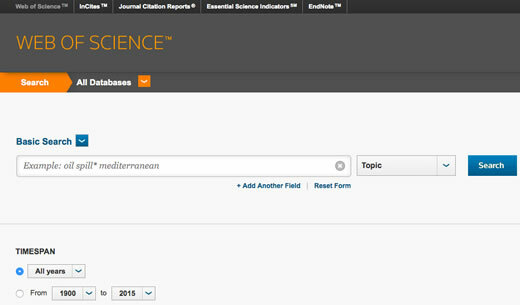 For each one, they extracted co-citations for known articles using the Web of Science database. They counted the co-citation frequencies, and screened articles with a score above a selection threshold. In the second study, they extended the method by additionally retrieving direct citations. Results retrieved 82 percent of the studies included in the meta-analyses while screening only 11 percent as many articles as were screened by the researchers of the original publications. In the second study, the team retrieved 79 percent of included studies while screening half of the original number of articles. "By reproducing literature searches of published meta-analyses, we demonstrated that the method was able to find relevant articles by screening a fraction of what needed to be screened using keyword-based searching," says Janssens. "Finding key relevant articles (rather than finding everything) often required screening less than 100 articles in total, which means that the method is useful for finding related articles for any type of study. Citation-based searching has the potential to help strengthen connections among articles and to improve and facilitate the process of evidence synthesis."